I was browsing the PlayStation.Blog yesterday and I came across a curious new Vita game called Open Me!. I guess it was announced a while ago, but it was news to me, so I'm going to post about it. Open Me! is an augmented reality game where players will use the swanky Vita tech to solve puzzle boxes. 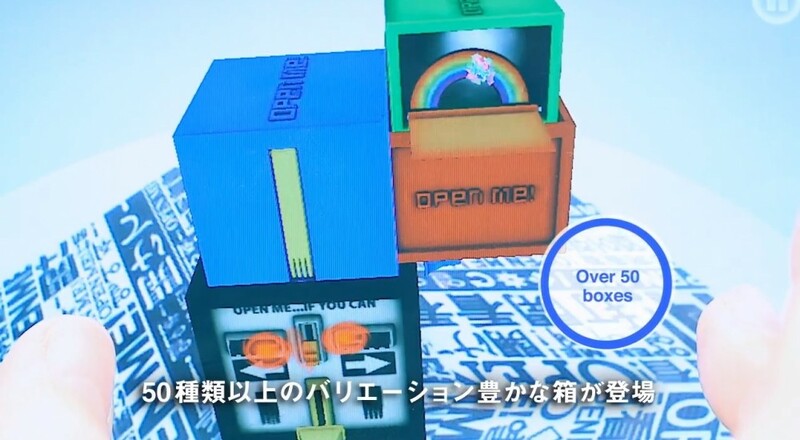 The touch screen can be used to interact with the locking devices of the puzzle box, while the AR cards provide the playing surface. The whole thing looks rather interesting and different, and quite frankly I need a break from "normal" games after Dragon's Crown and Saints Row 4. I have no idea why they're playing in a wind tunnel. Maybe there's a freight train right off camera. Maybe the forces of darkness are slowly awakening with the completion of each box. Maybe watching a perplexed adult male watching a rather smug non-adult female is unsettling so they decided to put an industrial fan on them. Either way, I dig a good puzzle game. As far as I'm concerned augmented reality is magic. I think I'll try it out. Oh look! While I was waiting for the game to download I found a longer version of the above trailer. This one is from Japan. I'm sure it's totally wholesome and not creepy at all. Damn it, Japan. I may not be able to define creepy, but I know it when I see it. Anyway, I played the first three boxes. You don't have to use AR cards. A high contrast table will work. You WILL have to get up and move around the box, so this game really goes against my pledge to remain sedentary. It appears co-op is limited to local ad-hoc play. If you have a real life friend with a Vita, you're in luck. If not, hey, cool puzzle game. Open Me! supports two player local co-op. It's available to download for $10, and exclusive to the PlayStation Vita. Page created in 2.4490 seconds.